Militants 38 times shelled the positions of the ATO forces. One Ukrainian soldier was killed and four wounded in the past day amid 38 enemy shelling attacks at the positions of the forces of the anti-terrorist operation in Donbas . "The situation in the area of the ATO remains tense. Russian-backed separatist forces escalate attacks at the positions of the ATO forces using weapons that had to be pulled out from the line of contact, including tanks," ATO headquarters said in a report on Monday, 4 December. 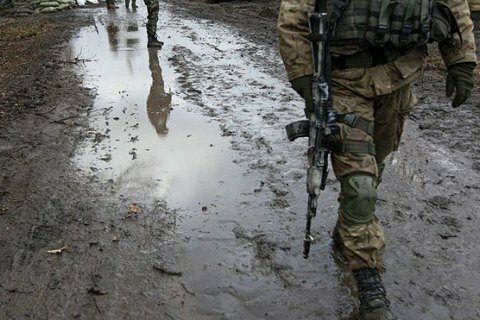 In the Luhansk sector, the militants intensified the shelling of Troyitske and Luhanske. These front-line settlements have been pounded from 120-mm mortars. Ukrainian positions near Novooleksandrivka, Zhovte, Zolote and Krymske were pounded with grenade launchers and small arms. In the Donetsk sector, the confrontation shefted from the coastal to the suburb of Avdiyivka, where terrorists intensively fired infantry weapons, and the armament of a tank closer to midnight. The defenders of Verhnyotoretske and Lebedynske were under the fire of militant 82-mm mortars, Talakivka and Maryinka were pounded with rocket-propelled grenades, heavy machine guns and small arms. On Sunday, ATO HQ reported nineteen shelling attacks by the enemy.